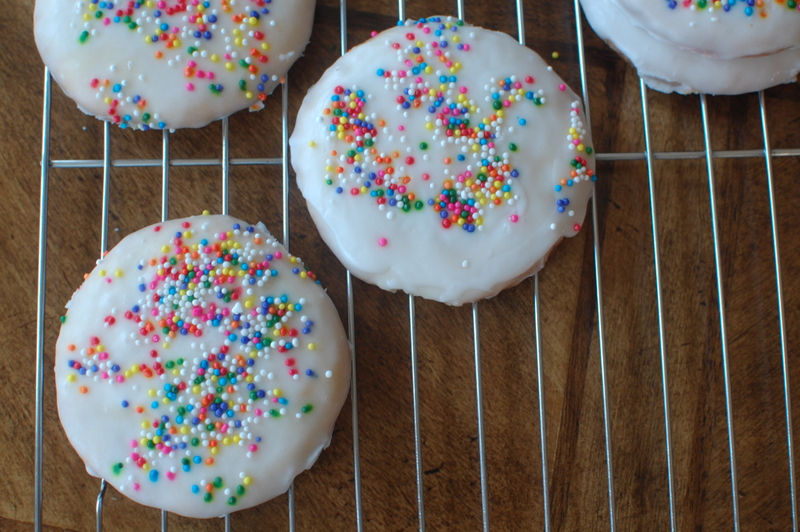 This is the easiest sugar cookies recipe I have ever made. It is a winner from Betty Crocker. I will have to admit that when I read through the recipe I was very skeptical about its outcome, but now after 28 times making them, it’s a beauty! I knew immediately that I could get these cookies in the oven and my students out the door in a 45 minute class. Now just think what you could do with this recipe. In a pinch you could make them before breakfast, have them packed and ready to head out the door with you to celebrate a birthday at lunch! It does not get better than that.